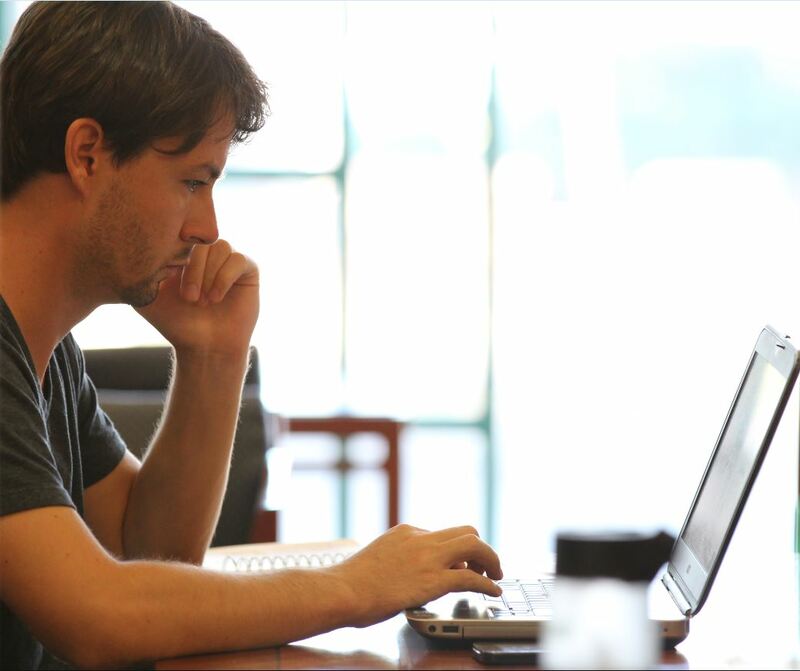 Over the last year, the ASU Library has helped the ASU community prepare for the end of its subscription to RefWorks, effective June 30. If you still have citations in RefWorks, please plan to move them from RefWorks to another citation manager before June 30. After that date, your citations will no longer be available in RefWorks. For more information on this transition, visit the ASU Library's RefWorks Transition page, which includes step-by-step instructions on how to move your citations from RefWorks to another citation manager. If you have questions or concerns, or need additional help, please email RefWorks@asu.edu. The ASU Library's citation management team will be happy to help you. Arizona State University continues to create a more sustainable and resilient future — and not just during Earth Month. The university has implemented a closed-loop process for composting green waste on all campuses. Acts as a fertilizer for your landscape. Helps your soil become a water filter, reducing runoff and improving water quality. Keeps plant diseases and pests away. Reduces how much, and how often, you need to water. ASU Grounds Services, the ASU Zero Waste department and the city of Phoenix participate in the university’s composting process, which supports ASU’s circular resource system sustainability goal. A circular resource system aims to achieve zero waste by diverting materials from landfills for productive use. ASU’s green waste — tree trimmings and grass clippings from all campuses­ — is collected and hauled to a city of Phoenix composting facility where it spends six to eight weeks in the composting process. ASU purchases the finished product to use on flowerbeds, lawns and fields throughout the university. ASU sent an average of 41.6 tons a month of green and wood waste to be composted in 2018. In November, ASU purchased back 190 yards, about 120,000 pounds, of finished compost that was placed on the Tempe Sun Devil Fitness Complex fields, annual flowerbeds and other campus lawns. According to Meyer, the composting program supports ASU’s overarching goal to achieve 90% landfill diversion by 2025. With today's technologies, citizen scientists can participate more easily in scientific data collection, such as measuring light pollution in the night sky using their smartphone. Darlene Cavalier, a professor of practice in the School for the Future of Innovation in Society, is the founder of SciStarter, an online platform that connects people and communities all over the world to more than 3,000 citizen science projects. She also serves on the National Academy of Sciences committee on citizen science. Cavalier and her team at ASU’s 2016 Citizen Science Maker Summit. With recent grant support, the team is working to position public libraries as community facilitators of citizen science. The Alumni Association is seeking nominations for the second cohort of ASU Leadership Institute. Applications are being accepted now through May 17 for this professional and personal leadership development program. ASU Leadership Institute Class 1 member JB Etchamendy, business banking relationship management associate with Wells Fargo Bank, says the program has provided valuable insights for both his professional career and civic engagement. The program will help participants understand and develop critical leadership skills. The cohort of Class 2 will participate in a leadership assessment tool that provides in-depth analysis and insights identifying key strengths to further develop and areas to enhance. ASU Leadership Institute features nine ASU Innovation Days throughout the course of the program led by experts from fields including business, military, nonprofit management, media, health and science, technology, design and the arts, and applied-use research. The programs works to enlighten, inspire and transform leaders from a variety of professions and communities. 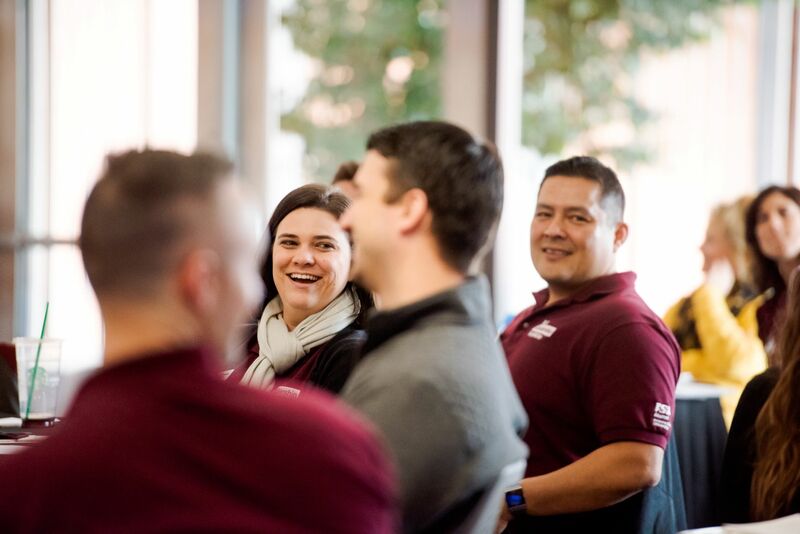 Applications for Class 2 of ASU Leadership Institute must be received by May 17. Successful candidates from the private, public and nonprofit sectors are chosen through a competitive selection process. For more information about ASU Leadership Institute, visit alumni.asu.edu/engage/leadership-institute. Playing with the Future: An imaginative exploration area features hands-on creative activities that the whole family can enjoy. Imagine what you can make out of a squishy material that conducts electricity, then invent a machine that will float or fly on a stream of air. Exquisite Observation: Learning How To See and Innovate from Nature: Inspired by Leonardo, explore nature’s genius and practice your observation skills to see how the natural world can inspire design, as it did with Leonardo. Dig deeper with a team of biologists and designers to see how biomimicry can lead to sustainable design. ARTificial Creativity and Invention: AI techniques have experienced a renaissance in recent years with neural networks, a type of algorithm that is modeled after the patterns of the brain. In this exhibit, experience the progression of images generated by GANs from their early stages as pixelated creatures through their turbulent adolescent before reaching mature adulthood. 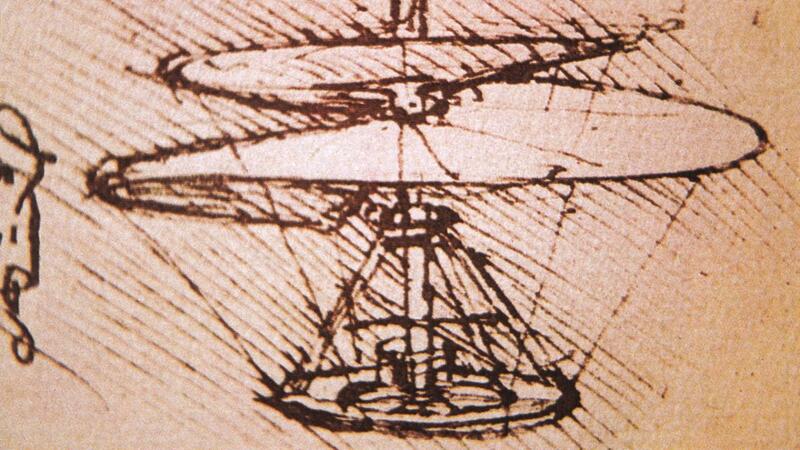 Ornithopter: In 1485, inspired by the flight of birds, da Vinci designed the human-powered Ornithopter. From the Greek ornithos "bird" and pteron "wing," the flying machine mimics the flapping-wing flight of birds, insects and bats. Climb aboard a model of Leonardo’s Ornithopter and make the wings ﬂap with foot and arm pedals! Mona Lisa: Mona Lisa’s message is to "Transcend Fear." Her creation was inspired by Leonardo’s 15th-century fighting machine, a prototype for modern tank design. Her armor can be truly frightening — but her intimate interior invites you to transcend those fears. Inventions of Desire: A Moviegoer’s Guide to the Future: Drawing on his new book and featuring clips from movies that include "2001: A Space Odyssey," Andrew Maynard will take you on a journey into our “inventions of desire,” and the challenges and opportunities they present as we strive to build a better future. This show runs from 7 to 8:30 p.m..
ASU Gammage has announced its 2019-2020 Desert Financial Broadway Across America – Arizona season. Tempe audiences will come together for a monumental season complete with an electric mix of the hottest shows on Broadway, Valley premieres, Tony Award-winning shows and the return of a few audience favorites. 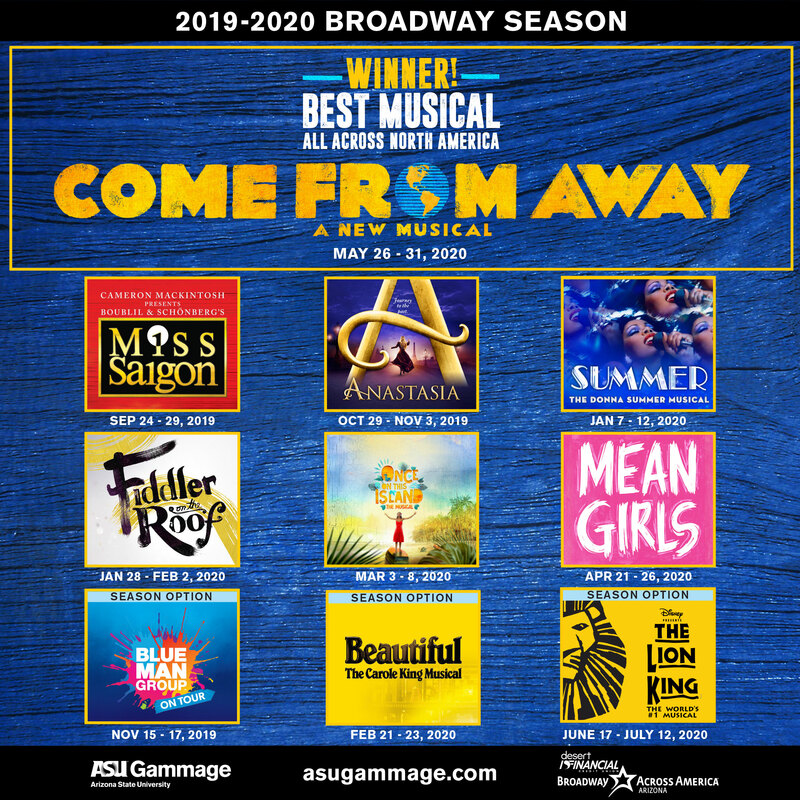 ASU Gammage is also presenting several season options including Blue Man Group, "Beautiful – The Carol King Musical," and making its triumphant return, Disney’s "The Lion King." The best way to guarantee tickets to the best of Broadway is to purchase a season subscription. Current season ticket holders can renew their subscription now. New season subscriptions go on sale Monday, May 13. Subscriptions start at $195 for seven shows and are available at asugammage.com. Experience the acclaimed new production of the legendary musical "Miss Saigon," from the creators of "Les Misérables." This is the story of a young Vietnamese woman named Kim who is orphaned by war and forced to work in a bar run by a notorious character known as the Engineer. There she meets and falls in love with an American GI named Chris, but they are torn apart by the fall of Saigon. For three years, Kim goes on an epic journey of survival to find her way back to Chris, who has no idea he's fathered a son. Featuring stunning spectacle and a sensational cast of 42 performing the soaring score, including Broadway hits like “The Heat is On in Saigon,” “The Movie in My Mind,” “Last Night of the World” and “American Dream,” this is a theatrical event you will never forget. Inspired by the beloved film, the romantic and adventure-filled new musical "Anastasia" is on a journey to ASU Gammage at last! From the Tony Award-winning creators of the Broadway classic "Ragtime," this dazzling show transports us from the twilight of the Russian Empire to the euphoria of Paris in the 1920s, as a brave young woman sets out to discover the mystery of her past. Pursued by a ruthless Soviet officer determined to silence her, Anya enlists the aid of a dashing conman and a lovable ex-aristocrat. Together, they embark on an epic adventure to help her find home, love and family. "Anastasia" features a book by celebrated playwright Terrence McNally, a lush new score by Stephen Flaherty (music) and Lynn Ahrens (lyrics) with direction by Tony Award-winner Darko Tresnjak. Tony Award-winning director Bartlett Sher and the team behind "South Pacific," "The King and I," and 2017 Tony-winning Best Play "Oslo,' bring a fresh and authentic vision to this beloved theatrical masterpiece from Tony-winner Joseph Stein and Pulitzer Prize winners Jerry Bock and Sheldon Harnick. The original production won 10 Tony Awards, including a special Tony for becoming the longest-running Broadway musical of all time. You’ll be there when the sun rises on this new production, with stunning movement and dance from acclaimed Israeli choreographer Hofesh Shechter, based on the original staging by Jerome Robbins. A wonderful cast and a lavish orchestra tell this heartwarming story of fathers and daughters, husbands and wives, and the timeless traditions that define faith and family. Featuring the Broadway classics “Tradition,” “If I Were a Rich Man,” “Sunrise, Sunset,” “Matchmaker, Matchmaker” and “To Life,” "Fiddler on the Roof" will introduce a new generation to this uplifting celebration that raises its cup to joy! To love! To life! “What a delight it is to enter the world of "Once on This Island!" raves The New York Times. Winner of the 2018 Tony Award for Best Revival of a Musical, "Once on This Island" is the sweeping, universal tale of Ti Moune, a fearless peasant girl in search of her place in the world, ready to risk it all for love. Guided by the mighty island gods, Ti Moune sets out on a remarkable journey to reunite with the man who has captured her heart. The groundbreaking vision of two-time Tony Award-nominated director Michael Arden ("Spring Awakening" revival) and acclaimed choreographer Camille A. Brown (NBC’s "Jesus Christ Superstar Live") conjures up “a place where magic is possible and beauty is apparent for all to see!” (The Huffington Post). With a score that bursts with life from Lynn Ahrens and Stephen Flaherty, the Tony Award-winning songwriters of "Anastasia" and "Ragtime," "Once on This Island" is a timeless testament to theater’s unlimited possibilities. Direct from Broadway, "Mean Girls" is the hilarious hit musical from an award-winning creative team, including book writer Tina Fey (“30 Rock”), composer Jeff Richmond (“Unbreakable Kimmy Schmidt”), lyricist Nell Benjamin ("Legally Blonde") and director Casey Nicholaw ("The Book of Mormon"). Cady Heron may have grown up on an African savanna, but nothing prepared her for the vicious ways of her strange new home: suburban Illinois. Soon, this naïve newbie falls prey to a trio of lionized frenemies led by the charming but ruthless Regina George. But when Cady devises a plan to end Regina’s reign, she learns the hard way that you can’t cross a Queen Bee without getting stung. Broadway’s "Come From Away" is a Best Musical winner all across North America. This New York Times critics’ pick takes you into the heart of the remarkable true story of 7,000 stranded passengers and the small town in Newfoundland that welcomed them. Cultures clashed and nerves ran high, but uneasiness turned into trust, music soared into the night, and gratitude grew into enduring friendships. Don’t miss this breathtaking new musical written by Tony Award-nominees Irene Sankoff and David Hein, and helmed by this year’s Tony-winning best director, Christopher Ashley. Newsweek cheers, “It takes you to a place you never want to leave!” On 9/11, the world stopped. On 9/12, their stories moved us all. Blue Man Group performances are euphoric celebrations of human connection through art, music, comedy and nonverbal communication. Since debuting at New York’s Astor Place Theatre in 1991, the live show has expanded to additional domestic residencies in Boston, Chicago, Las Vegas and Orlando, an international residency in Berlin, and multiple North American and world tours, reaching more than 35 million people worldwide. Blue Man Group is universally appealing to a broad range of age groups and cultural backgrounds, and continually injected with new music, fresh stories, custom instruments and sensory stimulating graphics. "Beautiful – The Carole King Musical" tells the inspiring true story of King’s remarkable rise to stardom, from being part of a hit songwriting team with her husband Gerry Goffin, to her relationship with fellow writers and best friends Cynthia Weil and Barry Mann, to becoming one of the most successful solo acts in popular music history. Along the way, she made more than beautiful music, she wrote the soundtrack to a generation. Featuring a stunning array of beloved songs written by Gerry Goffin/Carole King and Barry Mann/Cynthia Weil, including “I Feel The Earth Move,” “One Fine Day,” “(You Make Me Feel Like) A Natural Woman,” “You’ve Got A Friend” and the title song, "Beautiful," has a book by Tony Award-nominee and Academy Award-nominated writer Douglas McGrath, direction by Marc Bruni, choreography by Josh Prince, and took home two 2014 Tony Awards and a 2015 Grammy Award. Giraffes strut. Birds swoop. Gazelles leap. The entire Serengeti comes to life as never before. And as the music soars, Pride Rock slowly emerges from the mist. This is Disney’s "The Lion King," making its triumphant return to ASU Gammage! More than 85 million people around the world have experienced the awe-inspiring visual artistry, the unforgettable music, and the uniquely theatrical storytelling of this Broadway spectacular — one of the most breathtaking and beloved productions ever to grace the stage. Winner of six Tony Awards, including Best Musical, "The Lion King" brings together one of the most imaginative creative teams on Broadway. Tony Award-winning director Julie Taymor brings to life a story filled with hope and adventure set against an amazing backdrop of stunning visuals. "The Lion King" also features the extraordinary work of Tony Award-winning choreographer Garth Fagan and some of Broadway’s most recognizable music, crafted by Tony Award-winning artists Elton John and Tim Rice. There is simply nothing else like "The Lion King." Mamie Locke was the first African-American woman to be elected mayor of Hampton, Virginia. Since 2004, Locke has served as a member of the Senate of Virginia for the 2nd District. Locke, who earned a PhD in political science from Atlanta University (later Clark Atlanta University) and is a professor of political science and history at Hampton University, will discuss "The Continuing Saga of Race and Racism in American Society." “We are grateful for the opportunity to invite Dr. Locke to ASU to discuss issues of race and gender in our communities at this year’s A. Wade Smith Memorial Lecture,” said Patrick Kenney, dean of The College of Liberal Arts and Sciences. The event is free and open to the public. Seating is limited and on a first-come, first-served basis. Doors will open at 6:30 p.m.
As an elected official, Mamie E. Locke was the first African-American woman to be elected mayor of the city of Hampton. After eight years of service, she became the third African-American woman to win a seat in the Senate of Virginia. 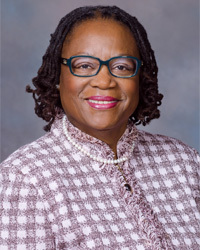 Representing the 2nd District, she serves on the following committees: Education and Health, General Laws and Technology, Rehabilitation and Social Services, and Rules. She is the chair of the Senate Democratic Caucus. She also served as chair of the Virginia Legislative Black Caucus. Throughout her political career, she has been a strong advocate for education, women's rights, affordable housing, Medicaid expansion, increased minimum wage, gun control and equity in the criminal justice system. When he died of cancer at the age of 43, his wife, family members and friends made memorial gifts to establish and fund this lecture series.